Most of my designs are clean-cut, following the rule that less is more. Although I studied art during my HSC year, I find layout design to be the most rewarding and enjoyable part of my art process- as opposed to drawing. Entering university straight out of high school I wasn’t one hundred percent sure of what I wanted out of a university degree. I chose Visual Communication Design because I wanted a course that would allow me to be creative but would have structure and direction. As a first year student I thought that Visual Communication would be mainly about the level of technical skill in creating designs. Over the years I have learnt that design is so much more than that. Technical skills will only get you so far. It is essential to think and question, and to use both critical and creative thinking. 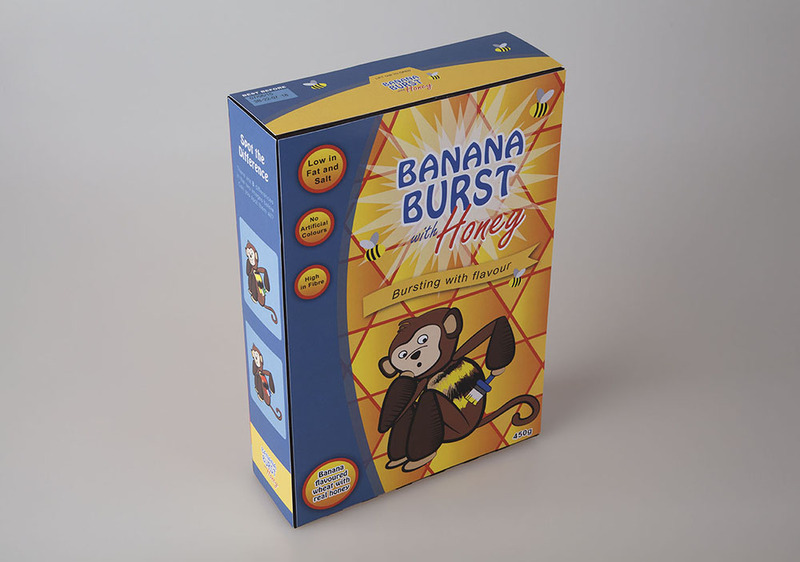 Aimed at children aged 6-10, the cereal box draws the audience’s attention through bright colours, a fun character, and a ‘spot the difference,’ game on the side panel. 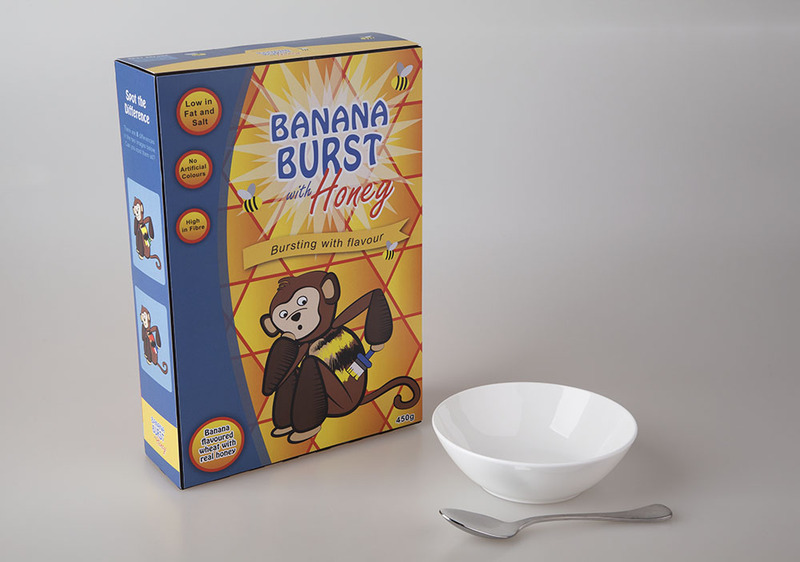 The banana and honey flavour of the cereal is represented through a cartoon monkey painting himself like a bee. 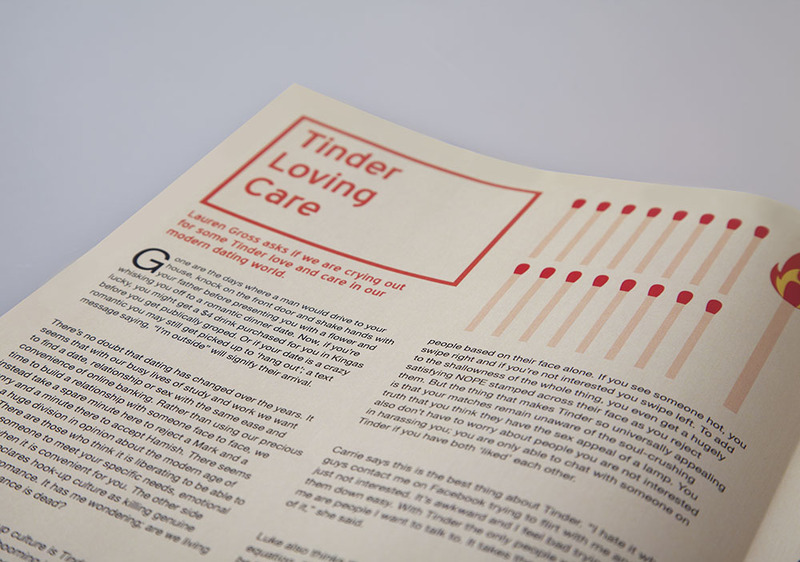 Created in Adobe Illustrator and then printed as a series of A3 risographs; the design uses a limited colour palette to achieve high contrast and strong visual impact. The song ‘Razzle Dazzle,’ from the musical ‘Chicago,’ influenced the design. 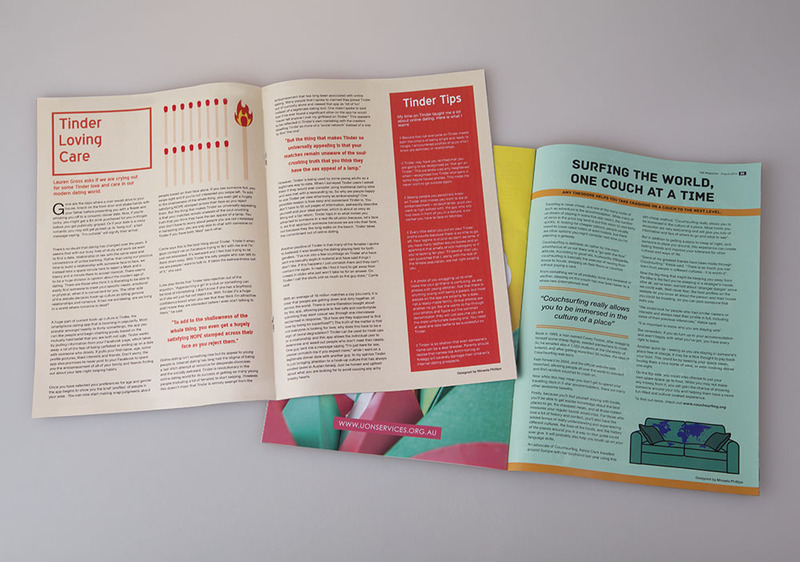 This project showcases my published work in ‘Yak,’ the University of Newcastle’s student magazine; a magazine run by students with a potential of 10 000 plus readership. After receiving separate briefs for different issues, I made design decisions suitable to the tone of article and appropriate to the target market.